You're scared and confused. We're scared and confused, too. Donald Trump winning the election on a platform of racism, sexism, and fear has forced all of us to admit what we don't know. What happens now? The Seattle Review of Books and Seattle Weekly are hosting Reading Through It, a monthly book club exploring who we are as Americans, where we're going, and how to fix it. The only cure for fear and confusion is knowledge, so let's learn together. 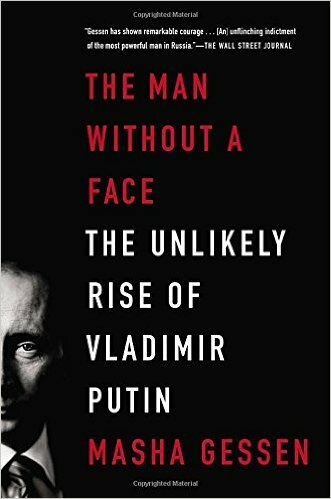 Our June selection is The Man Without a Face: The Unlikely Rise of Vladimir Putin by Masha Gessen. A chilling and unflinching portrait of one of the most fearsome figures in world politics. Boris Yeltsin and his cronies thought they could mold Vladimir Putin in their own image. But Putin, with ruthless efficiency, dismantled the country's media, wrested control and wealth from the business class, and destroyed the fragile mechanisms of democracy. Drink specials are available from Raconteur during book clubs, so grab a glass and join us for a lively literary discussion. Every month our selected titles are discounted 20% through the date of the book club. All are welcome, no purchase required.